#RedSox Announce 25-Man World Series Roster with Drew Pomeranz, Not Steven Wright, Taking Brandon Workman’s Spot. The Red Sox announced Tuesday their official 25-man roster for the World Series against the Los Angeles Dodgers. All appears to the be the same as it was for the ALCS, but a closer look will reveal that Drew Pomeranz somehow found his way onto this roster. It was reported yesterday that the club expected to add knuckleballer Steven Wright to the roster and either Brandon Workman or Heath Hembree, who was Wright’s replacement, were going to be swapped out in order for that to happen. Instead, Wright gets left out, probably because of lingering knee issues, and Pomeranz is in, much to the surprise of just about everyone. In his second full season with Boston, the 29-year-old posted a 6.31 ERA over 51.1 innings pitched as a starter before he was demoted to the bullpen in early August, where he posted a slightly less unsightly 5.56 ERA over 22.2 innings pitched and 15 appearances as a reliever. Heading into the winter as a free agent, I can’t imagine this is how Pomeranz expected his 2018 campaign to go after a solid 2017, but if given the opportunity, he’ll have the chance to up his value heading into the offseason. As for what role the Tennessee native will have in the Red Sox bullpen, well, I would have to imagine it’s more of a lefty specialist than anything. Come into the game, get someone like Cody Bellinger, Max Muncy, or Joc Pederson out, and make way for someone else. With this move, Alex Cora and the Red Sox now add another left-handed option out of the bullpen to go along with Eduardo Rodriguez. It should be interesting to see how much usage Pomeranz gets come 8:09 PM tonight. 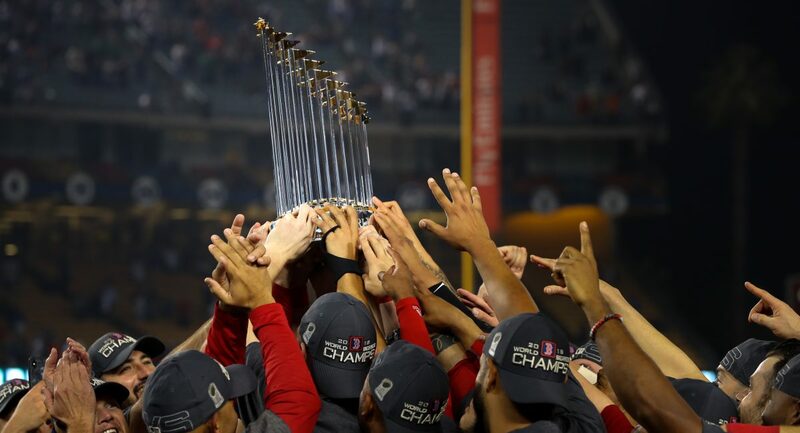 Author Brendan CampbellPosted on October 23, 2018 Categories Baseball, Sports, UncategorizedTags Baseball, boston, dodgers, drew pomeranz, los angeles, mlb, red sox, steven wright, world seriesLeave a comment on #RedSox Announce 25-Man World Series Roster with Drew Pomeranz, Not Steven Wright, Taking Brandon Workman’s Spot. RECAP: #RedSox Winning Streak Comes to an End at Three in Rain-Filled 6-1 Loss to White Sox. In the second of a four-game set against the Chicago White Sox, the Red Sox were looking to win their fourth straight game for the first time since August 12th on a rainy Friday night. Making his 17th start of the season last night was Nathan Eovaldi, who entered the day with a 7.41 ERA over his last four starts and a 3.52 ERA in two career appearances (one start) at Guaranteed Rate Field. Only able to pitch into the third inning of this one because of a lengthy weather delay, the right-hander’s struggles continued, as he got shelled for three earned runs on three hits and zero walks while recording six total outs. Unable to strike out any of the 10 batters he faced on the night, the White Sox collected all three runs they scored off of Eovaldi in the bottom of the first. The first of which came on an Avisail Garcia RBI single, while the other two came off the bat of former Red Sox prospect Yoan Moncada on his 17th home run of the season. After holding Chicago scoreless in the second, the Texas native came back out for his third inning of work with his team in a 3-0 hole, but in the middle of the first at bat, the rain really started to pour, and that is when Crew chief Ted Barrett decided it was time to bring out the tarp. With the rain delay officially lasting more than two hours, Eovaldi’s, along with White Sox starter Michael Kopech’s night, would come to a rather quick conclusion. Finishing with a final pitch count of 35 (22 strikes), it was pretty obvious that the adjustments Eovaldi made with his landing foot, at the discretion of Pedro Martinez, these past few days did not come with the results he was necessarily looking for. Out of those 35 pitches thrown, the 28-year-old turned to his four-seam fastball 53% of the time he was on the mound Friday. He also topped out at 100.8 MPH with the same pitch in the first inning. Although this particular outing was on the short side, let’s go ahead and take a look at how Eovaldi has been performing since he tossed eight scoreless innings against the New York Yankees on August 4th. 4 GS, 0-3, 8.05 ERA, 19 IP, 38 H, 24 R (17 ER), 3 BB, 12 K, 3 HR. Not great. In relief of Eovaldi, the Red Sox bullpen would be turned to rather early once again on Friday night, and it was Drew Pomeranz who got the first call coming out of the rain delay. Having only appeared in one game over the last week, the left-hander put in some solid relief work, as he scattered seven hits and six strikeouts over four scoreless frames. He also received some defensive help from the Red Sox outfield. Next out of the ‘pen was Tyler Thornburg, who entered this contest with his team trailing by just three runs, but by the time he left, that deficit had increased to six after Matt Davidson launched a two out, three-run home run to left center field. Thornburg was able to end the seventh inning, but that home run was essentially the final nail in the coffin for Boston. Finally, just trying to keep his team within the five runs they were trailing by, Brandon Workman retired three of the four batters he faced in a scoreless eighth. On the other side of things, the Red Sox lineup was matched up against another young right-hander for Chicago in the form of rookie Michael Kopech. Kopech, a former Red Sox prospect who was part of the Chris Sale trade in 2016, received the call up to the majors on August 21st and is ranked as the top pitching prospect in the White Sox organization. Making just his third career start on Friday, Kopech was up against his toughest opponent yet, and it showed early, as he hit the first batter he faced in Mookie Betts, then followed that up by walking Andrew Benintendi. Thanks to some poor base running on Betts’ part though, the Texas native was able to get out of the first unharmed. After working his way around a two out double from Ian Kinsler and a Sandy Leon HBP in the second, Kopech would be unable to resume his outing because of that two-hour rain delay. For Kopech, out of the three starts he has made this season, two, both of which came at home, have been shortened due to weather. Following the delay, Dylan Covey, who was part of the White Sox rotation the last time the Red Sox saw him, went out and pitched three scoreless innings of relief from the third until the middle of the sixth. In fact, the only scoring Boston could manage in this one came in the eighth, when Andrew Benintendi mashed his 16th homer of the year off of Juan Minaya to make it a 6-1 game, which would go on to be the final score. Xander Bogaerts received his first ejection last night, as he was tossed in the top of the eighth for arguing balls and strikes. Rick Porcello was also ejected. Since moving to the bullpen, Drew Pomeranz owns a 2.93 ERA in his last 15.1 innings pitched. Tyler Thornburg, on the other hand, has given up five earned runs in his last five innings pitched. Finishing August with a 18-9 record, the Red Sox will look to get back on track and guarantee a series split later tonight, as Eduardo Rodriguez will make his long-awaited return to the rotation and make his 20th start of the season. Before spraining his right ankle against the Toronto Blue Jays on July 14th, Rodriguez had not surrendered a run in his last 19 innings pitched. He has never appeared in a game at Guaranteed Rate Field, but does own a 3.75 ERA over two career starts against the White Sox. Opposite Rodriguez will be another southpaw in Chicago’s Carlos Rodon, who made his first start of the 2018 season against Boston back on June 9th. Since that time, Rodon as arguably been the White Sox’s best starter, as he has posted a 2.70 ERA and .178 BAA in 14 starts this year. First pitch of the third game of the series is scheduled for 7:10 PM ET, weather permitting. Author Brendan CampbellPosted on September 1, 2018 Categories Baseball, Sports, UncategorizedTags andrew benintendi, Baseball, blake swihart, boston, brandon workman, chicago, drew pomeranz, jackie bradley jr, jd martinez, michael kopech, mlb, mookie betts, nathan eovaldi, red sox, tyler thornburg, white sox, xander bogaertsLeave a comment on RECAP: #RedSox Winning Streak Comes to an End at Three in Rain-Filled 6-1 Loss to White Sox. RECAP: Hector Velazquez Gets Roughed up as #RedSox Open up Players’ Weekend with 10-3 Loss to Rays. Heading into Players’ Weekend winners of four of their last seven, the Red Sox arrived at Tropicana Field in St. Petersburg for their last series of the season against the 67-61 Tampa Bay Rays, who entered Friday on a five-game winning streak. Less than a week after being on the wrong side of 2-0 loss to Tampa Bay this past Sunday, Hector Velazquez made his sixth start of the season last night and did not have much of anything going for himself. Pitching into just the third inning of this one, the right-hander ended up getting charged for EIGHT earned runs on nine hits to go along with two walks and four strikeouts. At one point giving up six straight hits in the second, which led to three Rays runs crossing the plate, what really screwed Velazquez over came an inning later, when with two outs and runners on first and second, Steve Pearce, in the place of Mitch Moreland at first base, could not field a grounder off the bat of Kevin Kiermaier, which led to a single that allowed Ji-Man Choi to score from second. On what should have been an inning-ending play, the Rays managed to tack on an additional four runs before Velazquez got the early hook in what was all of a sudden an 8-2 game. Finishing with a final pitch count of 72 (46 strikes), the 29-year-old turned to his sinker the most on Friday, as he threw it a total of 21 times. He also topped out at 92.4 MPH with that same pitch in the second inning. Falling to 7-2 with a 3.69 ERA on the season now, Velazquez will look to rebound in his next time out, which should come against the Chicago White Sox next weekend, if he remains in the rotation. In relief of Velazquez, the Red Sox bullpen was responsible for the final five-plus innings of last night’s contest, but thanks to the efforts of Drew Pomeranz, only two other pitchers were used. Pomeranz, who entered with two outs in the bottom half of the third with a runner on first, surrendered two runs on a two-run home run off the bat of Rays rookie Willy Adames in the fourth in an otherwise solid 4.1 frames of work to end the seventh. Xander Bogaerts came through with some flashy defense as well. #Rays challenge call that Kevin Kiermaier is out at 1B in the 7th; call stands, runner is out. Joe Kelly, making his third relief appearance in the last four days, wrapped up a rather tough night for Red Sox pitching by working his way around two hits and tossing a scoreless eighth. On the other side of things, the Red Sox lineup was matched up against Rays “opener” Diego Castillo, who pitched in the same role last Sunday and held Boston scoreless in nearly two innings of work. Pitching into the second once again, the Rays hurler retired five of the seven batters he faced before getting lifted for Jalen Beeks with two outs and runners on first and second. Beeks, a former Red Sox pitching prospect who was part of the Nathan Eovaldi deal last month, tossed four scoreless frames and picked up the win in his only other appearance against his former team on Sunday. Although he was not as effective last night, Beeks did manage to pick up the winning decision, his third of the season, while surrendering three runs on seven hits and three walks to go along with four punch outs. Starting the scoring in the top of the third with three straight two out hits, Xander Bogaerts stayed hot with a two RBI single to plate both Mookie Betts and Steve Pearce. Those runs appeared to be crucial at the time, as it cut the Red Sox deficit to one, but as I mentioned before, the Rays went off for five runs of their own in their half of the third. Fast forward to the fifth, and JD Martinez wrapped up his team’s scoring while collecting his league-leading 110th RBI of the season on a one out single to drive in Andrew Benintendi from second to trim the Rays lead down to only seven. The Red Sox out hit the Rays 13-12 on Friday, yet got outscored by seven runs. That is mostly due to the fact that none of those 13 hits went for extra bases. Nope, all of them were singles. In his last 10 games, Xander Bogaerts is slashing .385/.429/.718 with two home runs and 12 RBI. Since its inception, the Red Sox are 0-4 in Players’ Weekend games. Not great. Despite the loss, 90-40 is at least satisfying to look at, right? Looking to get back on the right track later tonight, it will be Rick Porcello getting the start for Boston. Porcello (15-6, 4.14 ERA) owns a lifetime 2.72 ERA in 14 career starts at Tropicana Field, with the most recent coming on May 24th, an outing in which the right-hander got shelled for six runs (four earned) in less than four innings in an eventual loss. Opposite Porcello will be rookie left-hander Ryan Yarbrough for Tampa Bay, who has never started against the Red Sox, but does own a 3.00 ERA in four relief appearances against them this season. First pitch of the second game of the series is scheduled for 6:10 PM ET Saturday. Author Brendan CampbellPosted on August 25, 2018 Categories UncategorizedTags andrew benintendi, Baseball, blake swihart, boston, diego castillo, drew pomeranz, eduardo nunez, hector velazquez, ian kinsler, jackie bradley jr, jalen beeks, jd martinez, joe kelly, mlb, mookie betts, rays, red sox, steve pearce, tampa bay, xander bogaertsLeave a comment on RECAP: Hector Velazquez Gets Roughed up as #RedSox Open up Players’ Weekend with 10-3 Loss to Rays. RECAP: Nathan Eovaldi Gets Hit Hard as #RedSox Drop Third Straight for First Time since April. For the first time since April, the Red Sox have lost three consecutive games. Everybody panic! Yes, the team with the best record in all of baseball has hit a bit of a skid recently, so let’s get right into where things went wrong on Tuesday night. Making his fifth start with the Red Sox, Nathan Eovaldi entered the night with a 0.00 ERA in 15 innings pitched at Fenway Park this season. Pitching into the sixth inning of this one, the right-hander seemingly breezed through the first three frames of this one, but the fourth was where things turned out for the worst. All coming with two outs, the Indians reached base four straight times off of Eovaldi on three singles and a double, which plated their first two runs of the evening. After working his way around a leadoff double in a scoreless fifth, Cleveland struck again right away in the sixth on a solo home run off the bat of Melky Cabrera, his second in as many nights. One out and two straight singles from Yan Gomes and Greg Allen singles later, Eovaldi’s night would come to a disappointing end. Finishing with a final pitch count of 87 (63 strikes), the Texas native surrendered ten hits for the second time in his last three outings to tie a season-high. He also walked one and only recorded two strikeouts. Out of those 87 pitches, Eovaldi relied on his fastball, both cut and four-seam, a combined 69% of the time on Tuesday while topping out at 100.1 MPH with that four-seamer in the first inning. Since he got his Red Sox career off to a blazing start with those two stellar outings against the Twins and Yankees in late July and early August, Eovaldi has certainly come back to earth over the past two weeks. It will be interesting to see how he responds in his next time out against his old team this weekend in St. Petersburg. In relief of Eovaldi, Joe Kelly entered the sixth with runners on first and second and closed the book on the 28-year-old’s night by giving up an RBI single to Michael Brantley that could have been a double had Sandy Leon not thrown him out at second to end the inning.
.@RedSox challenge call that Michael Brantley is safe at 2B in the 6th; call overturned, runner is out. From that point on, Brandon Workman gave up a run on a sacrifice fly in the eighth and Tyler Thornburg, albeit it came on a quality pitch, served up a solo home run to Indians catcher Yan Gomes, minutes after the Red Sox had scored three runs of their own, to make it a 6-3 game heading into the bottom of the eighth. Finally, despite walking one and giving up one base hit, Drew Pomeranz had himslef a scoreless ninth inning to give his team one last chance to rally in the bottom half of the frame, although it did not amount to much. On the other side of things, the Red Sox lineup was matched up against a starter they had never seen before in Cleveland’s Shane Bieber. Bieber, 23 and a right-hander, is in his first season with the Indians and as you may have already guessed, had never pitched at Fenway Park before last night. Despite that fact though, the former fourth round pick out of UC Santa Barbara had his way with Boston through the first six innings of this one. In fact, it wasn’t until the fourth inning when Andrew Benintendi ripped a one out single to break up the no-hitter Bieber had going. Fast forward to the seventh, with no outs and runners at first and third, Xander Bogaerts came through with an RBI double down the line in left to cut into the Indians lead and put his team’s first run of the night on the board. One batter later, a Mitch Moreland sacrifice fly that could have been so much more had it not been for this great catch by Greg Allen drove in JD Martinez from third to cut Boston’s deficit to three. One day, you'll be able to tell your grandkids that you saw Greg Allen play baseball. That would be how Bieber’s night would come to a conclusion, but the Red Sox were not done scoring. Not until Xander Bogaerts came into score on a Ian Kinsler RBI groundout, anyway. With the score of this one at 5-3 going into the eighth, it’s probably worth mentioning that the aforementioned home run from Yan Gomes off of Tyler Thornburg may have been the final nail in the coffin, as it upped the Indians lead back to three. Anyway, old friend Andrew Miller sat down all three batters he faced in order in the eighth, and ex-Padres closer Brad Hand maneuvered his way around an E4 to notch his 29th save of the season in the ninth and final frame. Over the span of this three-game losing streak, the Red Sox have scored seven total runs. That is not ideal. All while the Yankees have won their last four games, also not ideal. That Mitch Moreland sacrifice fly had a hit probability of 91%. According to Statcast, it was the only batted ball that had a hit probability north of 90%, yet it was caught. I must admit, losing two straight games to one of the better teams in the American League is far from encouraging, but the Red Sox have been here before. Go back to that four-game series against the Astros in Houston back in June. They dropped the first two games while not looking all that great, yet they bounced back and left with a series split that Sunday night. That’s what needs to happen now over these next two days. Brian Johnson gets the nod in the third game of the series with Indians right-hander Carlos Carrasco toeing the rubber opposite him. While Johnson has never faced off against Cleveland in his young career, Carrasco has had his fair share of difficulties in his matchups against the Red Sox. Over a span of seven career appearances (five starts) against Boston, the Venezuela native owns a 6.83 ERA and 1.81 WHIP in 27.2 innings pitched, 14 of which of come at Fenway Park. First pitch of the third game is scheduled for 7:10 PM ET Wednesday. Time to put this losing streak to a halt. 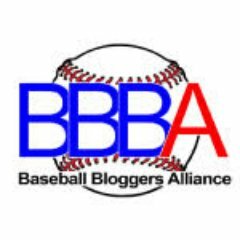 Author Brendan CampbellPosted on August 22, 2018 Categories Baseball, Sports, UncategorizedTags andrew benintendi, andrew miller, Baseball, boston, brad hand, brandon workman, cleveland, drew pomeranz, indians, jd martinez, joe kelly, mlb, nathan eovaldi, red sox, shane bieber, tyler thornburg, xander bogaertsLeave a comment on RECAP: Nathan Eovaldi Gets Hit Hard as #RedSox Drop Third Straight for First Time since April.